The Holiday Season is here, and there’s no better way to enjoy this time of year than to pop open some bubbly. From Thanksgiving until New Year’s, sparkling wines are both celebratory and can pair well with a multitude of foods. Here’s an impressive example from California made with 60% Chardonnay and 40% Pinot Noir. Roederer Estate Brut Anderson Valley NV, 90 Points, $20, 80,00 Cases Produced- Rich and creamy, with lemon tart, spiced golden apple citrus above a delicious hazelnut undertone, lingering long and finishing with mouth-watering acidity. A festive sparkler. Oktoberfest has long passed us by, but never fear, the Holidays are right around the corner, and with them comes a time to switch from the amber hues of the proverbial autumn brew into the more rich, warming and flavorful options that this time of year offer us. I’ve tasted a lot of beer in my time, so I feel educated enough to propose the very best Christmas Ales out there to fortify your belly as the weather turns colder and the days turn shorter over the next month. I’ve picked out my 12 favorites, in order, one for each day of Christmas. To keep things fair, I have selected 6 American brewed winter seasonals and 6 from abroad, but that doesn’t mean that they received equal weight within the rankings. Scoop them up while you can, as these brews only come around once a year. 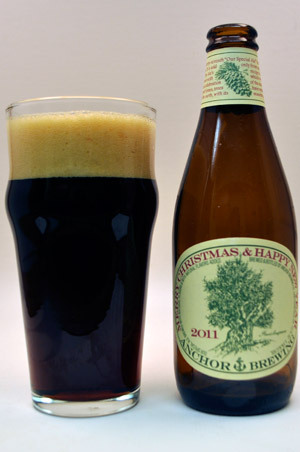 This is certainly one of the most famous Holiday brews out there, as San Francisco staple Anchor changes the recipe slightly each year to insure that each vintage maintains a unique quality. While not my ideal holiday brew, it is a perfect example of its style, usually showing notes of cinnamon and brown sugar spice before devolving into a strong green bell pepper vegetal flavor. 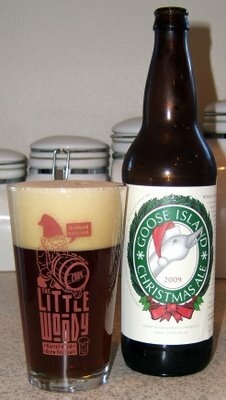 Just a bit heavy on the vegetable notes and light on the Holiday Spice to be the quintessential Holiday beer for me, and a bit light on the alcohol for its overall weight. Munster, Indiana’s Three Floyds has been one of my favorite American breweries for over a decade now, so there wasn’t any way I was leaving them off this list. 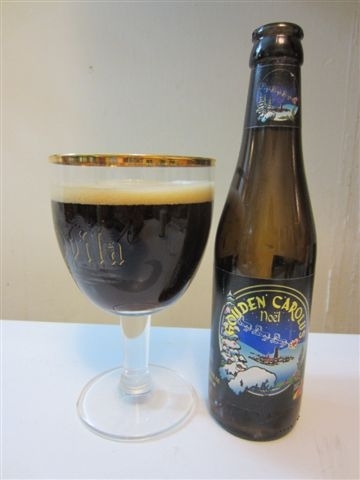 This seasonal beer is actually somewhat of a blend between a Porter and a Spice/Herb/Vegetable, as lightly roasted malts combine with earthy spices over a light texture, finishing with a blast of hops that are in balance. The ABV % is right in my sweet spot. 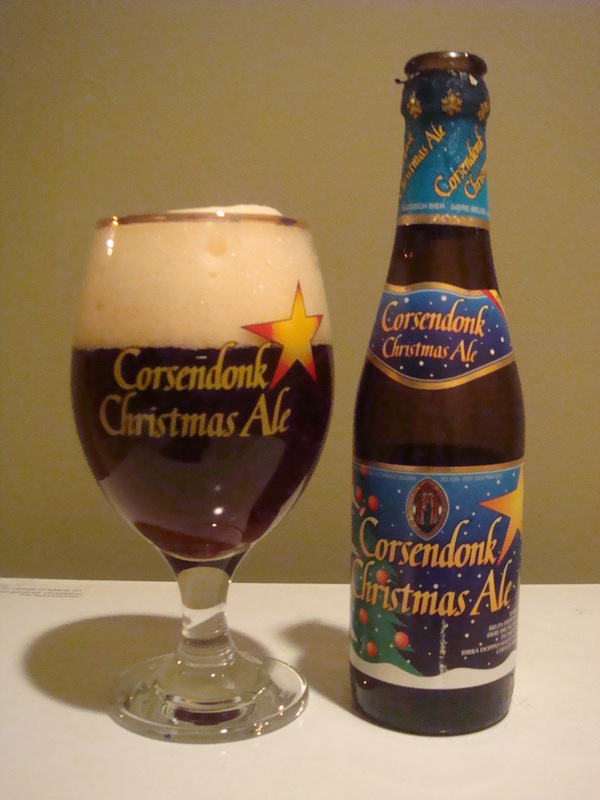 The first of many deserving Belgian beers on this list, the Corsendonk Christmas Ale is affordable and not overly heavy on alcohol for the style, and can be found at a very reasonable price point. The smooth and creamy body offers flavors of hazelnut to accompany a roaring fire, with subtle vegetable undertones and a moderate hop presence. Being a Chicago resident, there was no way that my favorite local brewery wasn’t getting a mention, despite my annoyance in recent years as they went from selling this beer in 6 packs to overpriced 22 oz bottles, and now back to a still overpriced, but more reasonable 4 pack format. It isn’t overly complex, but consistently offers rich, warming caramel malt flavors with a healthy dose of hops. At just over 6% ABV, it is highly sessionable, and an advisable choice while setting up the Christmas tree if you prefer to enjoy a beverage, but don’t want to knock the tree over. 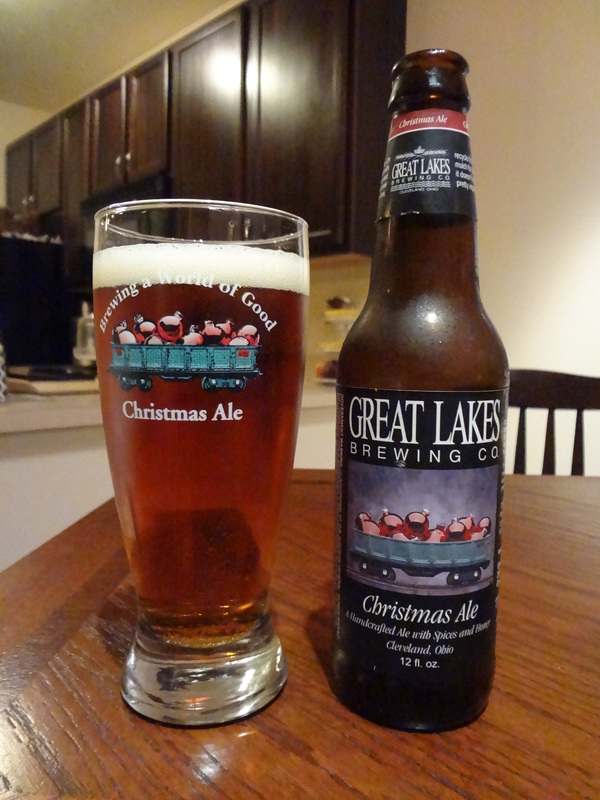 Perhaps the most true Christmas Ale of all the American attempts at the style, the solid Cleveland brewery Great Lakes annually offers this intense ale that isn’t shy with the alcohol and delivers a dominant flavor profile of seasonal spices including cinnamon, nutmeg and brown sugar. In fact, these elements dominate a body that doesn’t have much going for it in the way of malt complexity. This is evident almost immediately, as this brew pours much lighter than most of the other seasonals on this list. Still, if you are looking for flavors that communicate the season, you won’t find a much better American example. This brew lingers with a pleasant sweetness and clove spice that covers the ABV wonderfully. 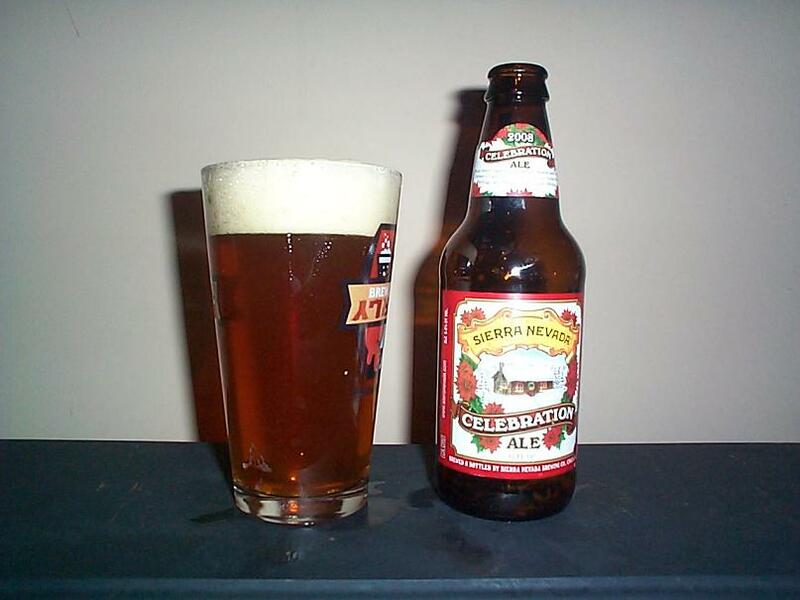 While technically not a Christmas Ale in the truest sense of the definition, hop crazy Sierra Nevada Brewery only releases this beer during the months of November, December and January, and it is well worth seeking out during the Holiday season. Still, this beer pours more of an amber hue than either their Pale Ale or Torpedo IPA does, and it boasts a spicy caramel malt with elements of baking spice that goes quite well with the cold weather and the flavors of the season. It’s been years since I’ve had this, but my notes recall a big, rich, chocolatey Belgian brew that is smooth and warming, finishing without any bitterness and coating the mouth with dark, port-like fruit notes. Sugary plum, date, licorice and fig flavors are backed with clove spice very typical of the season, and this will be one of the more filling brews recommended here. 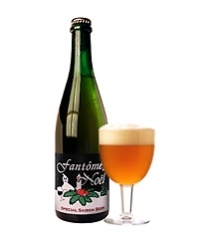 This Belgian brewery has picked up a bit of a cult following around their use of wild yeasts in producing innovative, well-crafted beers. Their winter offering is a Saison, complete with a sweet, rich malt body of burnt caramel, chocolate covered cherries, cinnamon spice and a finish of moderate hops holding it all together. The typical hint of sourness from the wild yeast provides additional character, balance and complexity. This is currently my go-to 6 pack during the season, and is also my highest rated American offering on the list. For the quality/ABV/price ratio, you’ll be hard pressed to beat it anywhere on this list, if you can find it that is. It tastes like a wonderful marriage between a Barleywine and a Scotch Ale, with flavors of burnt caramel malt, toasty cocoa, roasted hazelnut and hops smoothed out through the long, creamy finish. It finishes with a warming note of black coffee, and is a rich mouthfull of Holiday yumminess–a can’t miss at this price point. 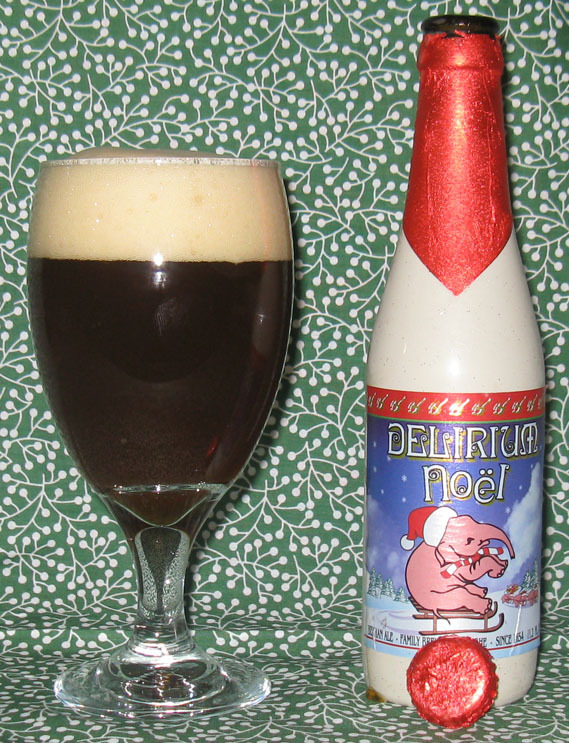 First, let’s address the giant pink elephant in the room–how can you not long to enjoy a bottle of Delirium simply due to its mascot, a pink elephant, which in this case happens to be wearing a Santa hat? That alone would be plenty to sell me, but luckily this brew is worth the price of admission independent of its adorable logo. It shows quite a bit more citrus than most of the beers on this list, with lots of dried peach and yeast complexity. It is still very dark and rich, with excellent balance and loads of delicious sweet spices including coriander and allspice. No other beer combines such a massive depth of flavor, with rich chocolate and toffee alongside plummy grapes and yeasty dried fruits that are an exercise in contrast. It finishes with a deep, malty sweetness that smooths out the heavy alcohol presence, lingering with just a hint of pepper. It demonstrates a softness unmatched by any other beer on the list, and is the perfect winter warmer. The only drawback I can find is that it doesn’t offer quite the seasonal spice as some of these do and therefore could be easily drinkable during the doldrums of the winter following the Holiday season. The king of all winter brews.At 12.0% ABV, this is the most massive offering on this list, and also the most expensive, but it is still well worth seeking out this time of year. The sweet and spicy malt body communicates flavors of cinnamon escalloped apple, honey and candy sugar that gain complexity from additional citrus notes and hints of nutmeg spice. The slightest hint of sourness creeps in late to help cover the intimidating alcohol presence here, and this is a pure classic for the season, at once warming and exuding the spices associated with this most wonderful time of the year. *** I still have yet to try the St. Bernardus Christmas Ale, which I am sure is fantastic but have been unable to locate as of yet. That will be on my list of things to do this holiday season! 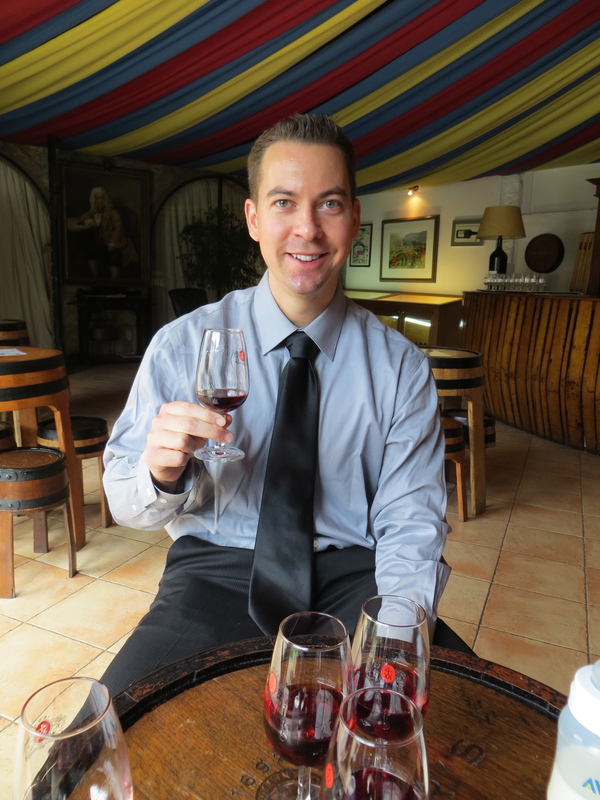 I spent 10 days in Portugal recently and as you can imagine, I tasted a lot of wine. Portugal is a beautiful country, and very affordable. I ordered at least a half bottle of wine with every meal I ate and never spent more that $15-20. 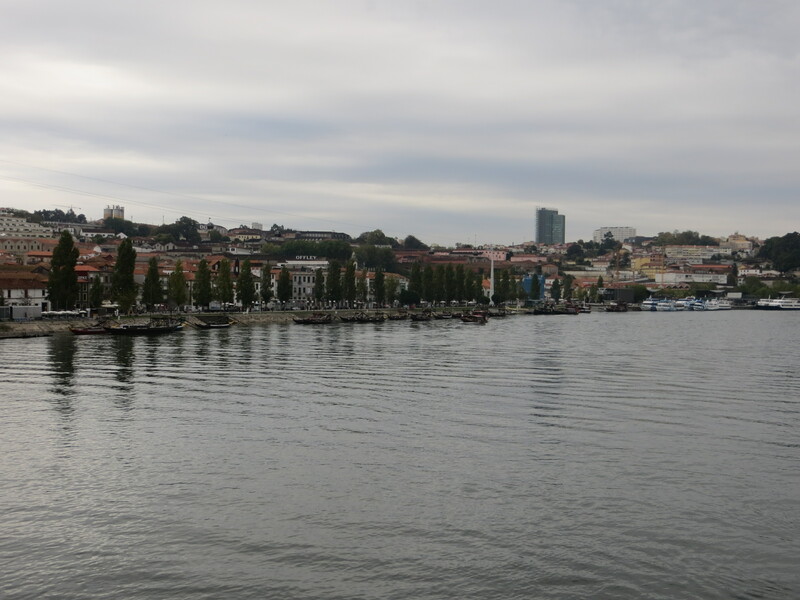 While in Porto, we spent a good amount of our time on the south side of the Douro river in Vila Nova de Gaia, which is lined with famous port lodges that offer tours and tastings of their wines. 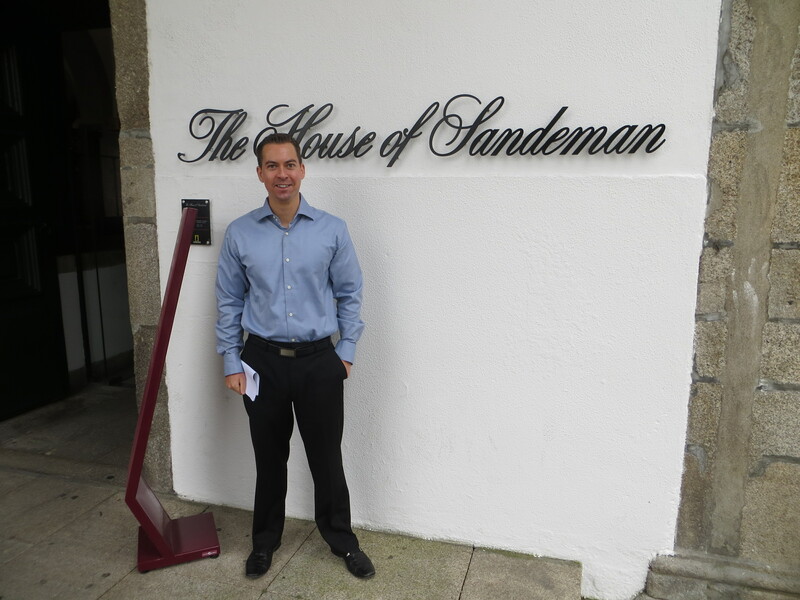 We visited eight of these and were able to get a good handle on the best of the region’s port. I’ve long said that if I could drink only one beverage for the rest of my life (besides water of course), it would most likely be port. 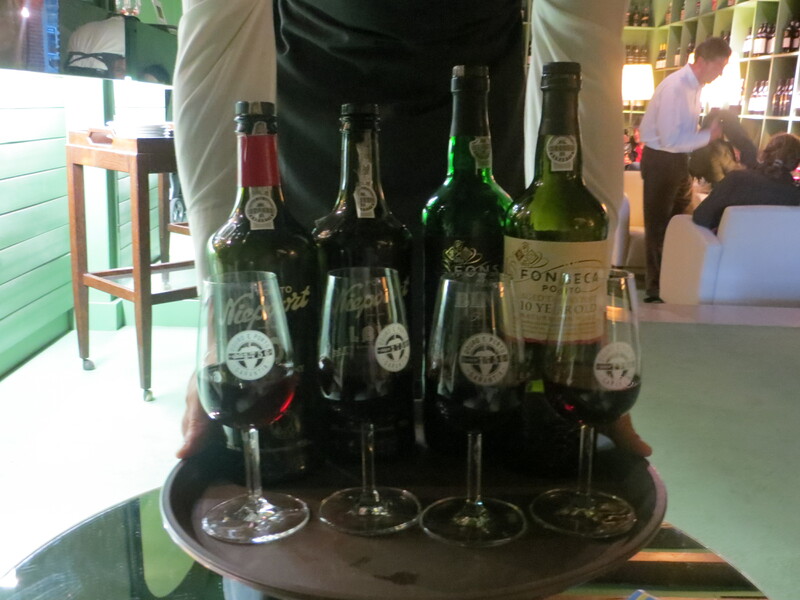 Here is a rundown of the very best of the wines we sampled, broken down by style of port. 1. Croft Vintage Port 2009, 94 Points, $80- Thick raisin, dark plum and dark chocolate aromas. Inky body is elegantly textured and loaded with thick, creamy dark plum sauce, black licorice, mocha and fig paste, finishing with a blast of wet mineral and cigar box that lingers long. Thick and tannic, and needs many years to evolve to its full potential. 2. Taylor Fladgate Vintage Port 2009, 94 Points, $100- Opaque body, with intense aromas of dark plum and raisin. Inky body of plum, blueberry and violet are thick as can be, with complex smoke, dark chocolate and oak adding complexity and depth. Firm tannins add grip, and this will be amazing in time. 3. 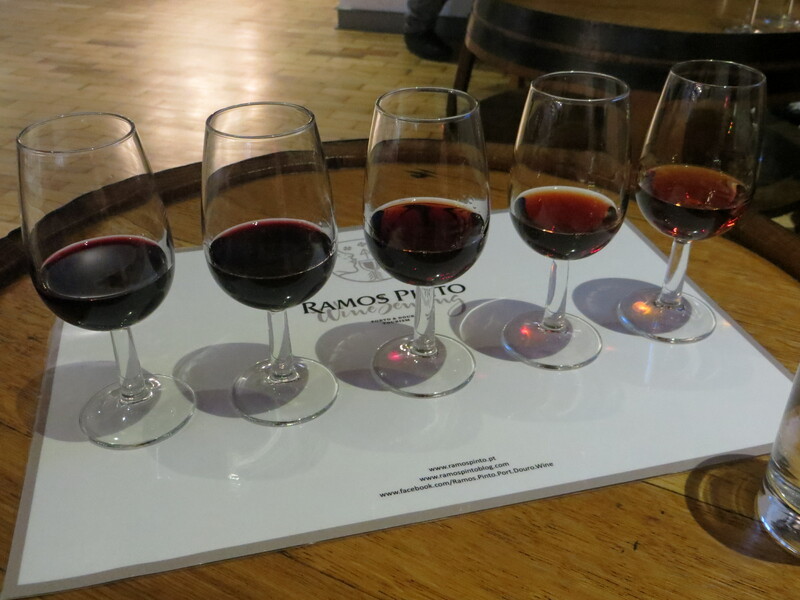 Ramos Pinto Vintage Port 2000, 90 Points, $75- Opaque body, aromas of plums, chocolate and pepper. Thick, dark body, with intense pepper and leathery mineral complexities coating the deep plum and dark chocolate flavors. Finish is long and peppery. 1. 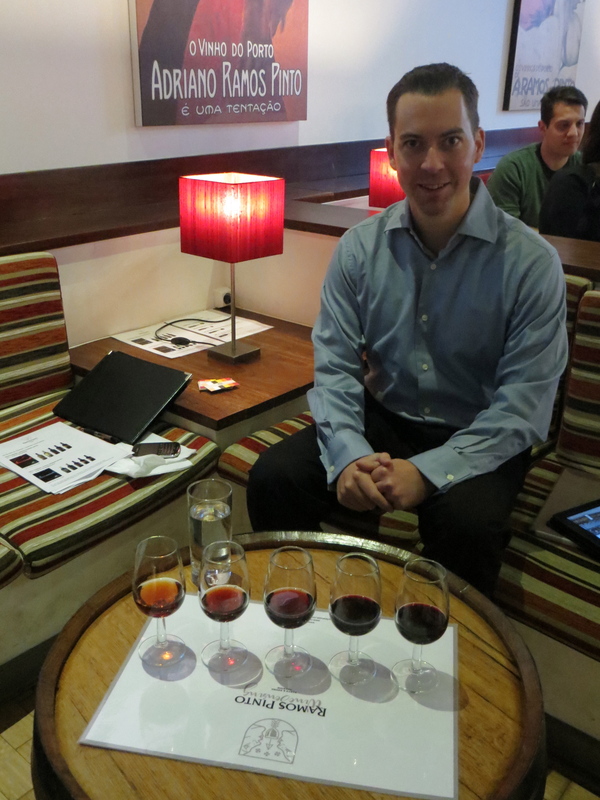 Ramos Pinto Quinta Do Bom Retiro NV, 93 Points, $70- All-encompassing aromas of toffee, oranges and chocolate. Creamy and smooth, with intense spice, toffee, orange peel, smoke and toasted oak flavors that linger long. Incredible. 2. Churchill Estate NV, 92 Points, $50- Gorgeous, with a creamy nutmeg and vanilla influence above flavors of caramel, mandarin orange, peach and white pepper spice. Distinctive citrus flavor. Spice lingers forever with notes of crème brulee through the long finish. 3. Taylor Fladgate NV, 92 Points, $55- Transparent amber hue, showing strong floral citrus aromas. Syrupy mouthfeel is full of mouthcoating orange and apricot as well as exotic spice, leading into toasty oak and toffee flavors. Spice lingers through the long finish, with citrus lingering. 4. 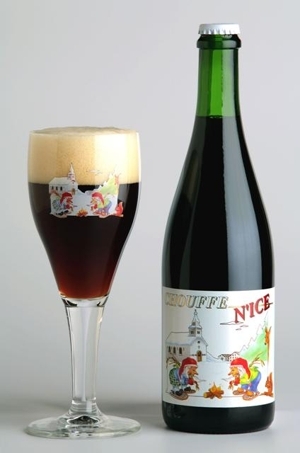 Niepoort NV, 92 Points, $90- Intense aromas of dried orange peel and apricot with notes of hazelnut. Rich and exciting, with balanced toffee and nut elements backed with spicy stone fruits, finishing with a blast of white chocolate. 1. 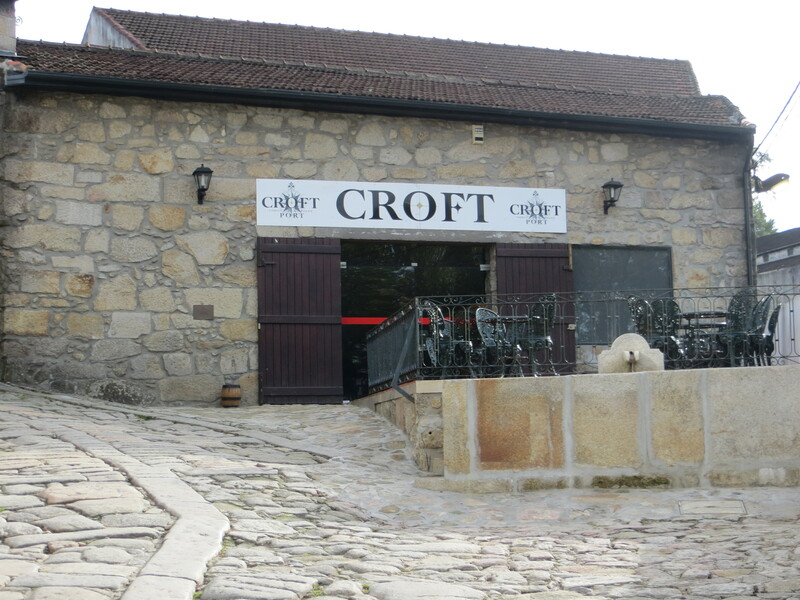 Croft NV, 92 Points, $30- Spicy escalloped apple, caramel and orange peel aromas. Soft, sugary body of intense cointreau tangerine backed with spicy caramel and vanilla bean. Long, luscious finish. 2. Ramos Pinto Quinta de Ervamoira NV, 92 Points, $30- Amber body, with a creamy mouthfeel of heavy oak and deep toffee flavors backed with intense spice. 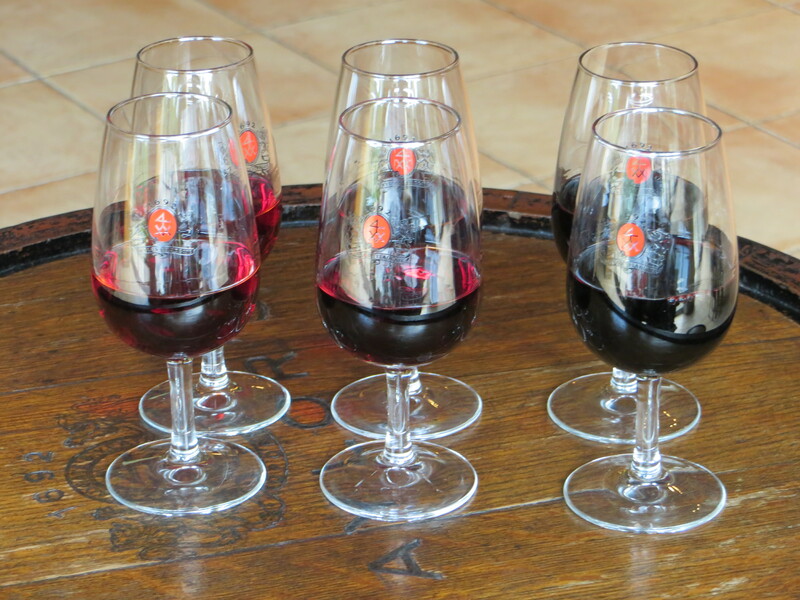 Finishes with a complex, tarry earth component through the long, spicy length. Creamy and nutty throughout, picking up a cream soda note as it lingers. 3. Taylor Fladgate NV, 91 Points, $35- Unique amber color, with aromas that are moderately sweet and oaky. Oily texture on the palate, with a lovely combination of floral citrus, caramel and vanilla oak notes, backed by creamy chocolate and spice through the long finish. 4. Fonseca NV, 91 Points, $35- Lovely aromas of cream, spice and hazelnut lead into a creamy, spicy body with lots of toffee and and nut flavors that combine with subtle berry and dark plum notes. Spicy and chocolaty through the long, intense finish. 5. Quinta do Noval NV, 90 Points, $30- Subtle caramel and orange citrus aromas. Sweet, spicy mouthfeel of orange and toffee that quickly turns to deep oak flavors. Slightly astringent and hot through the finish, but lovely spiced caramel notes carry. 1. Ramos Pinto 2007, 90 Points, $25- Dark chocolate and raisin aromas. Full-bodied and spicy, with dark black fruits and plum running over the ripe mouthfeel, finishing with sweet, exotic pepper spices that linger long. Rich, chocolatey and sweet. 2. Taylor Fladgate 2o05, 90 Points, $25- Thick and chocolatey, with rich plum sauce and black licorice fruit flavors. Finishes with a note of spice and chocolate through the medium to long length. 3. A.A. Calem 2006, 89 Points, $25- Dark, rich and inky, with intense black plum and blackberry fruit above dark chocolate, exotic spice and firm tannins. Finishes with elegance and depth. 4. Dow’s 2007, 87 Points, $22- Rum-raisin and plum aromas. Brown sugar, dark plum and licorice flavors gain dark chocolate undertones through the medium length. Rich, but a bit flat. 1. Churchill Touriga Nacional Estate Douro Valley 2009, 92 Points, $30- Dark, ripe black fruit, especially perfumed black plum and cherry. Deftly balanced between its creamy cocoa and vivid black cherry fruit notes. This is very rich and dark, with a long finish with peppery spice and cocoa lingering. 2. Churchill Estate Tinto Douro Valley 2009, 89 Points, $20- Full-bodied, ripe and fruity, with dark plum and black cherry fruit combining with black pepper, cocoa powder and wet stone mineral nuances through the long, dry finish. 3. Quinta do Crasto Tinto Douro Valley 2010, 88 Points, $15- Ripe, perfumey, crushed berry fruit on the nose. Fleshy and ripe on the palate, with vivid black cherry and black raspberry fruit that gains a touch of stone minerality as it lingers with a dry, tannic grip. 4. Quinta Do Roques Tinto Dao 2009, 88 Points, $20- Very ripe but perfumey and aromatic with its dark berry and plum fruit. Dry finish with a hint of wet stone mineral through the medium length. 1) Groupie Doll 1-1- Likely to be the shortest priced favorite of the day, and deservedly so. Has won her last two starts since adding blinkers by a combined 16 lengths and looks much the best here. She shortens up to 6f, but figures to dominate. 112 Beyer towers over these. 2) Dust and Diamonds 9-2- If there’s any horse to pull the upset here, it might be her. She comes off three straight victories and appears to be improving at the right time, posting a 100 Beyer in her last outing, a 6.5f victory in the Gallant Bloom. 3) Musical Romance 4-1- Last year’s winner hasn’t been disgraced this year but was easily beaten by the top choice in their only meeting and was an easily beaten 3rd in the Gallant Bloom. 1) Emcee 5-2- I really like the move to run him here rather than in the Sprint, as his closing style should benefit him more here with the added ground and against a weaker field. Showed his stuff with a career high 108 Beyer in winning the 7f Forego and looks primed, begging for more ground. 2) Shackleford 2-1- Has looked off form in his last two, struggling on the mud in a last place finish in the Vanderbilt and fading after setting a strong pace last out in the Vosburgh. He’ll get firm ground and an easy lead here, but his form seems to be trending downward. He does boast a field high 115 Beyer from earlier this year, so any reproduction of that number will romp here. 3) Jersey Town 4-1- Upset winner of the Vosburgh is generally pretty hit and miss, but should get some attention at the windows off of that effort, and wouldn’t be a surprise against a pretty weak field. * There’s a lot of value if you want to try to beat the two favorites here, who certainly look strong. Of you like the favorites as I do, this still looks like a good race to structure a superfecta or trifecta wager and throw in a high priced longshot underneath. 1) Shanghai Bobby 3-1- Has been dominant in his last two starts, including a multi-length win in the Champagne Stakes last out in his first effort around two turns, posting a 94 Beyer. Can he ship? If so, the rest are up against it. 2) Power Broker 5-2- Stalked and took over in winning his last race over Grade 1 company on this track while it was favoring speed, posting a 90 Beyer. Surely a contender. 3) Fortify 12-1 – 397 Tomlinson is tops in the field, and he’s the only horse running that won’t be affected by Lasix-off. He finished a flat 3rd last out in the Champagne, but the distance should suit, and he may have an advantage if he can take a step forward. 4) Dynamic Sky 12-1- A little known turf and poly runner that loves to fly at the end. No reason he can’t take to the dirt as well and if he does, look out at these odds. 5) Capo Bastone 15-1- A very live longshot at these morning line odds, as he was able to make up ground on a speed favoring track when finishing 3rd as the favorite last time out. * With the firm turf likely to play against the Euros, and frankly, with those Euros off form, this might be the year to look towards the Americans in this race. That angle worked yesterday in the Filly and Mare Turf as the Americans took the exacta with a bit of racing luck. I can’t believe Little Mike is entered here instead of the Mile, where he would have had a chance to steal it on the lead. His addition does add a certain unanticipated intrigue in terms of how the pace will play out. Also interesting is Dullahan’s connections opting to run here rather than in the Classic, where I thought he had a strong chance. He’s a total wildcard here but I don’t think turf is his best surface and the distance is still asking a lot…he didn’t exactly fire at 12f on Belmont Day. 1) Point of Entry 3-1 – Winner of five straight races, and has proven himself at this distance. Was compromised by softer ground last out at Belmont and still won the race in hand, and should be primed to take this BC edition back for the Americans. 2) Trailblazer 6-1- Japanese import is an interesting play here coming off a strong, hard-closing 2nd place finish to my choice in the Mile, Obviously last out. He’s been hit and miss at long distances but is a G1 winner in Japan at 11.5f. This is another of many firm turf plays for me. 3) Slim Shadey 10-1- His career high Beyer of 99 doesn’t look competitive here, but he is dangerous for two reasons. For one, he is one of only two true front-runners here, and showed his ability in beating the other, Turbo Compressor, at 10f over this course. He has won 3 of his last 4 at Santa Anita, and you can never discount a front-runner on firm turf. 4) St. Nicholas Abbey 7-2- Defending champ may not take to the firm course this time around, and was dreadful in his last two starts. Still, Euro form always holds up here, but his year may have passed. 5) Shareta 7-2- Facing males is not a new thing for her, but she may be in over her head here and isn’t likeable at these odds. Was not competitive in the Arc last out, although she’s one that probably doesn’t mind a bit firmer footing. * I see a very rapid early pace here with the likes of the 3 YOs Trinniberg (106 Beyer) and The Lumber Guy (110 Beyer), and will lean towards the more experienced runners on their home course here. 1) Capital Account 6-1- He might prefer another furlong here, but I think the pace will be hot enough for his closing move to get him into the winners’ circle this time. Beaten a head last out by Coil, he’ll benefit from a central post and can make his move from mid-pack on the pace-setters. 108 Beyer at this distance fits here. 2) Coil 5-1- Rounding back into form following a long layoff, and has really found a niche in this division. 102 Beyer in beating the top choice by a whisker in his last race, can he keep improving? 3) Amazombie 4-1- Winner in this race last year at Churchill looks to repeat over his home track, but if his last race is any indication, he may have lost a step, as he was beaten easily by the top two choices. He does show a competitive 106 Beyer earlier this year. * This is always one of my favorite races and it usually falls into a closer’s hands, but the lack of pace here leads me in a different direction. It’s always tough to weigh the Euro form against the Americans, but there are good reasons to think the home team can take the exacta here on the firm ground. 1) Obviously 6-1- Front runner could find himself alone on the lead here. He’s familiar with the track and can motor over it, as he proved in a front-running win in the Arroyo Secco, posting a 105 Beyer. Lone speed in a turf race is deadly, and he could benefit from the defection of Little Mike in this race. 2) Wise Dan 9-5- The best miler in the world, but could find himself a bit further off the pace than he prefers. Worth trying to beat at this price in a race like this, but he won’t be off the board. He was managed well leading up to this race and skipped the Classic for it. Posted a 105 Beyer in a dominating win last out in the Shadwell Mile, and was won three straight over the turf at this distance. 3) Excelebration 5-1- Competed with the likes of the immortal Frankel, finishing 2nd to that one and winning a Group 1 Stakes after. He comes off a short two week rest following career best, and will have to deal with shipping to the US and a surface switch. 4) Moonlight Cloud 6-1- Filly has been solid in shorter races showing a strong late kick, but could be in over her head at a mile against these. Only has two career races at 8f, the rest shorter, beaten 4th by Excelebration two back. * Lots of tough horses in here for America’s richest race. I expect a decent amount of speed, and will look to the closing horse for the course for the win. 1) Ron the Greek 6-1- Might be the most tested and successful horse at this distance, as many of the other favorites are great at 9f but suspect beyond. His win at 10f in the Santa Anita Hcp merits a long look, and he overtook some solid horses at 9f in winning the Stephen Foster at Churchill. He needs a pace to run at, but he should get a reasonable one behind the likes of Fort Larned, Game on Dude and To Honor and Serve. Horse for the course, and I do love me a closer at 10f in a race this contentious. 2) Game on Dude 9-5- The undisputed champion of the 9f distance, 4 YO has been successful at 10f as well, often fading, but stays close to home to put a stamp on a potential Horse of the Year Honor. He was caught late by Dullahan at 10f in the Pacific Classic, but that was over polytrack, and was 2nd in this race last year at Churchill. Expect him to take them most of the way, but at these odds, he’s worth trying to beat for the win at a distance slightly more than he wants. Still a must use in all wagers. 3) Flat Out 5-1- My pick last year, but he just isn’t the same away from Belmont. Still, he’s one of only three true 10f horses here, and I expect him to move forward from his 5th place finish last year. He’s been steadily impriving throughout his 5 YO season and will be moving late. A must use. 4) Richard’s Kid 12-1- Old-timer is always moving late, is a true 10f horse and is familiar with the track, being west coast based. Probably not good enough to win this late in his career, but he always gets up for a piece. Perhaps the surest bet of the day is that he hits the Superfecta. 5) Fort Larned 5-1- Dynamite at 9f but questionable beyond, and has been a bit testy and inconsistent at times. 6) Mucho Macho Man 8-1- His closing 3rd place in last year’s Kentucky Derby nothwithstanding, I’ve never believed him to be a true 10f runner, and his low Tomlinson Distance number support that analysis. He didn’t show much punch down the lane when beaten in the Woodward by To Honor and Serve (8-1), and that horse is certainly in the wrong race here. 7) Pool Play 30-1- This is a great play for underneath in exotics. He is a pure closer that always fires. In over his head here, but crashing into the Trifecta isn’t impossible following his surprise win in the Hawthorne Gold Cup. Race analysis, with horses I feel are playable for the win or place spot. I’m in Portugal, so the times are in Lisbon time, for my own reference. * This race begins an absolutely brutal Pick 3 sequence that appears short on value and heavy on potential outcomes. The Juvenile Fillies race showcases two horses with tons of early speed that opted for this 8.5f race over the much shorter Juvenile Sprint, and will have a lot to say about the shaping of the pace scenario. Can Kauai Katie and Beholder carry their speed over this distance? 1) Kauai Katie (3-1)- Sprinting type should battle with Beholder for the early lead, and while some doubt her ability to handle the distance in her first two turn start, I’m not one of them. Talented runner figures to be able to extend her speed and get the better of her rival as the two battle alone on the lead. 88 Beyer in 8f Matron win. 2) Executiveprivilege (2-1)- Undefeated in five starts and looked dominant trying two turns for the first time last out. Recent workouts have left something to be desired. 88 Beyer in 8.5f Chandelier win, deserving favorite. 3) Dreaming of Julia (5-2)- Posted 90 Beyer two starts back, but had a tougher time than she should have in her last start and steps up in terms of competition against some very speedy ladies, but is 3/3 lifetime. Same connections as Kauai Katie, so running Katie here with her has to mean something. 4) Beholder (5-2)- Field high Beyer of 106 appears dominant, but that was at 6f around one turn. Figures to be part of a strong early pace and feel this may be a bit beyond her ideal distance, but could be dangerous if she gets loose. *The deepest race on the entire BC card. I can’t see going less than 5 deep here in multi-race wagers. The pace scenario is questionable as it doesn’t appear that anyone wants the lead, and this could create an interesting race complexion. The surface is worthy of note as well; while Euros have dominated Turf races at the BC over time, the firm turf at Santa Anita could give the Americans an edge here, at a decent price. 1) Zagora 8-1- Might have been best in 10f Flower Bowl when 2nd by a nose and should improve on firmer footing, boasts field high 103 Beyer, but that was at 9f. Americans have upset this race the last two runnings, why not again? She might be one to steal this one on the lead if no one else wants it, and will be a higher price than she should be based on the myth that she can’t get 10f. She can. 2) The Fugue 7-2- Likes the firm going, and appears the most dangerous of the Euro shippers. Classed in 6 starts this year as a 3 YO, many at longer distances, but wasn’t flattered when Shareta, who beat her last out, finished dismally in the prestigious Arc de Triomphe. Hard to gauge her Euro form against these but seems a contender on form alone. 3) I’m a Dreamer 8-1- Won 10f Beverly D at Arlington over firm ground and has ran well against some of Europe’s best, including males. 4th place finish in Flower Bowl last out was better than it looked and she may not have taken well to the yielding turf there; should move up on firmer ground. 4) Nahrain 6-1- Runner-up last year against a weaker field gives it another shot off of a blanket finish win in the competitive 10f Flower Bowl over softer turf. She had been off form before that overseas, so consistency remains an issue, as does the switch ot firmer ground. 5) Ridasiyna 4-1- Euros have dominated recent BC Turf races, and she’s faced and beaten top competition in France, but mostly over softer ground. 3 YO has won 4 of 5 starts while steadily improving in class but appears a short-priced favorite in a field this deep and is worth trying to beat at this price, as the turf at Santa Anita this time of year won’t have any give. 6) Marketing Mix 9-2- She’s proven me wrong since throwing in a real clunker when I supported her Derby Day, but I still feel that she isn’t quite in the same class here and is going to be at short odds here. Still, she did run on well for 2nd in the Beverly D and dominated in the start following that. Easily the toughest edition of this race ever. The 5th choice on the morning line has won back to back Grade 1s on the lead (Love and Pride). Four Eclipse Champions in one race (Royal Delta Older Female 2011, Awesome Feather 2 YO Filly 2010, My Miss Aurelia 2 YO Filly 2011, and likely Questing 2012 3 YO Filly). That’s probably never happened before. Royal Delta appears on paper to be a deserving favorite as she attempts to repeat, but if history has taught us anything, you don’t want to single anyone here in Multi-Race Wagers. 1) Royal Delta 5-2- Looked dominant in 10 length Beldame romp last out, deserving favorite in the best field in the history of this race. Pace scenario sets up well for her here, as she’ll be able to lay off the likely contentious opening fractions and make a strong late move. The best of the bunch on her best day, but she’s been inconsistent this year. Field high 110 Beyer is the field topper. 2) Questing 4-1- Narrowly beaten favorite in enticing stretch duel last out but was giving 7 pounds in that race, shorter at 8.5f, and disliked the deep, slow track, and had dominated the 3 YO division prior to that. 106 Beyer in dominating front-running win in the 10f Alabama. Should be forwardly placed with several others here and risks fading early as a result of a speed duel. 3) Awesome Feather 3-1- Undefeated in 10 career starts so it’s hard to overlook her, and her last race was perhaps her strongest to date following a long layoff, as she posted a career high 108 Beyer. This will be her greatest challenge to date, but she is a strong competitor and always fires. 4) My Miss Aurelia 6-1- Another undefeated starter here who beat Questing in her last start following a long layoff. She’s the defending Juvenile champion and is clearly a force to be reckoned with, but moves up in weight and class for her biggest test yet. She should be near the early pace as well.